Leading camming affiliate network CrakRevenue has announced their Back To School bonus / challenge. If you can beat your August earnings this September, you’ll get a bonus! With Summer Slowdown going away and the fall boom coming, this is a great opportunity for all affiliates, who should naturally see increased traffic, conversions and spending. Here’s all the details. Bonuses will be determined and based upon the affiliate’s $500+ increase in commissions from the aforementioned Reference period (Aug 1 – Aug 31, 2018) and the designated challenge period (Sep 1 – Sep 30, 2018) in CrakRevenue. Bonuses are predefined by each Commission Increase milestone and are not cumulative. Affiliates who qualify to receive this bonus after meeting the Challenge will see their September Cash Bonus credited to their CrakRevenue account in October 2018. Participation in this challenge is granted to affiliates & other networks at CrakRevenue’s sole discretion and can be revoked at any time without any prior notice. Affiliates found sending traffic generated from spam, content locking and other deceitful tactics will see their account banned. The payment of commissions is done at CrakRevenue’s sole discretion, in compliance with CrakRevenue’s T.o.S. and can be cancelled at any time without any prior notice. Interested in becoming a CrakRevenue affiliate? You can either signup here or learn more about the network by checking out the link below. 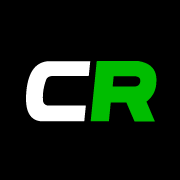 CrakRevenue is a leading camming affiliate network with a wide range of camming offers to chose from. All the popular camming sites can be promoted through them, and they’ve got the exclusive affiliate offers for both MyFreeCams and CAM4. CrakRevenue gives affiliates all the tools needed to succeed and regularly hosts bonus contests such as the Back2School Challenge.